Iki's popular shochu and sake make great gifts. Iki island is in the Genkai Sea. On this small island is Omoya Shuzo Brewery. 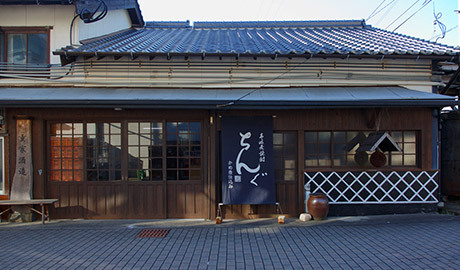 "Omoya" is an old word meaning "sake brewery." It is part of the brewery's name established in 1924. Today, it is operated by the fourth-generation master. The founder's words were, "Go back to the nascent starting point without straying off in modernity." to make shochu with the utmost care. where barley shochu originated, we continue to offer flavorful barley shochu to everyone. 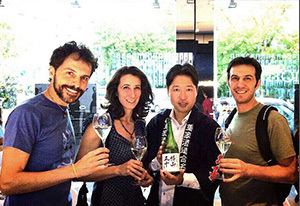 Iki shochu as an international brand. Nihonshu is known in the world as "sake." However, it is not as prevalent as wine. Therefore, on Iki island, we have made sake that can be loved around the world like wine. As the first beverage to be enjoyed, it goes well with both Japanese and Western cuisine. we offer sake beloved by the world. 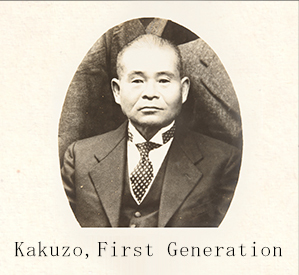 Brewery founded by Kakuzo Yokoyama, First Generation. "Kinsekai" sake "Kikushirayuki" and "Fujinoyuki" shochu are marketed. 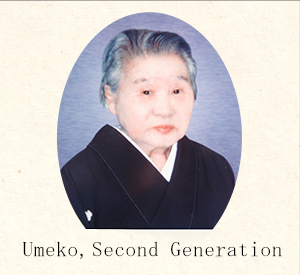 Omoya Shuzo Brewery established as a general partnership company. Kakuzo Yokoyama appointed as a representative partner. Singapore, China, and South Korea. Exports to Shanghai, China began. First overseas outlet (Shanghai, China) opened. Junmai Daiginjo Yokoyama 50 selected by former Japanese soccer star Hidetoshi Nakata's "SAKENOMY" sake project. Publicized to the world from Milan, Italy. 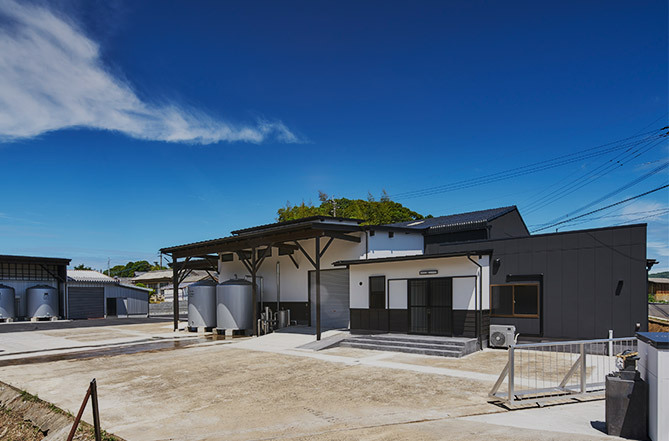 Construction of a sake brewery on Iki island began. 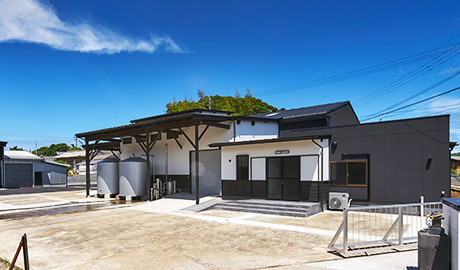 The shochu brewery was outfitted with the latest equipment to produce even more delicious shochu. Koyata Hasegawa appointed as a representative partner. "Kinsekai" sake brand name changed to "Fujizuru." "Kikushirayuki" brand name for Iki's barley shochu changed to "Sesshu." 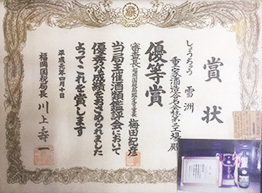 Awarded Fukuoka Regional Taxation Bureau Director's Cup (for Sesshu). Sake production restarted after 23 years. Special pure rice sake (junmaishu), "Kakuzo Our Spirit." 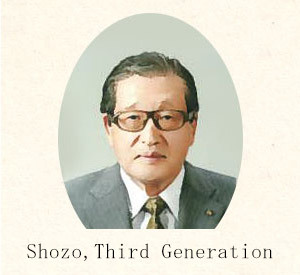 Omoya Shuzo Brewery general partnership company changed its name to "Omoya Shuzo Brewery, Co., Ltd." Yuzo Yokoyama appointed as company president. Exports to Beijing, China began. 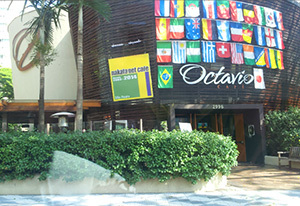 During the 2014 FIFA World Cup, Chingu was publicized on nakata.net cafe in Sao Paulo, Brazil. Junmai Daiginjo-shu Yokoyama 50 was marketed. Received runner-up award at Kyushu S1 Grand Prix IN TOKYO. To make delicious sake, mineral-rich water with no iron is required. Also, to wash rice and make yeast, diluted sake and a large amount of water are necessary. Therefore, having abundant, quality water is essential. And so the brewery drilled for water at over 20 locations on the island until it finally found a great source of abundant, top-quality water. A sake brewery was then built there to make sake and spread it to the world from Iki. © Omoya Shuzo. All Rights Reserved.